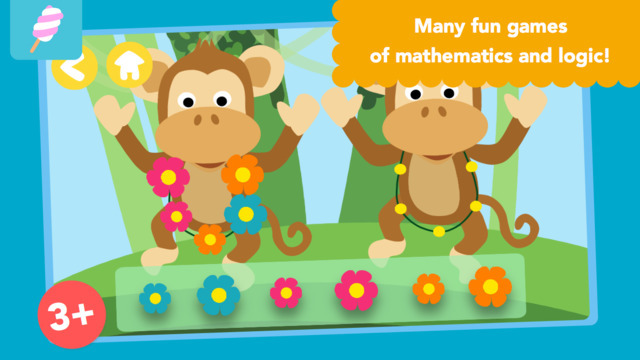 Math Tales – The Jungle is a colorful game for iPhone and iPad from publisher Marshmallow Games. Designed with kids aged 3-5 in mind, Math Tales combines a charming nursery-rhyme style narrative with educational mini-games designed to improve your child’s numeracy skills. 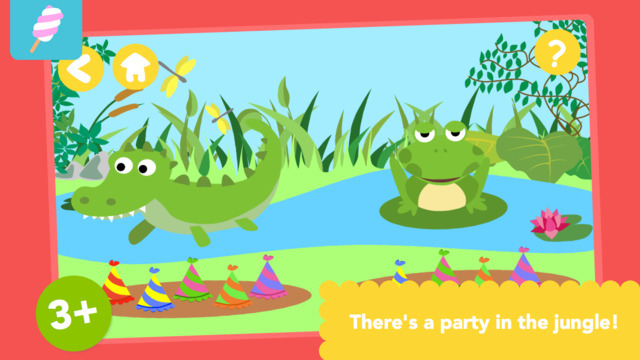 Math Tales begins with the animals of the jungle making preparations for a birthday party. Chapter One introduces us to some new characters and involves tasks such as creating flower garlands and hanging balloons. Later chapters little games like ordering animals by size, creating a cake for the party and finding hidden objects. There are 9 chapters in all, with each chapter containing 3 tasks designed to build skills in different didactic areas such as Spacial Perception, Logic, Visual Perception, Math Operations, Numbers and Colors. 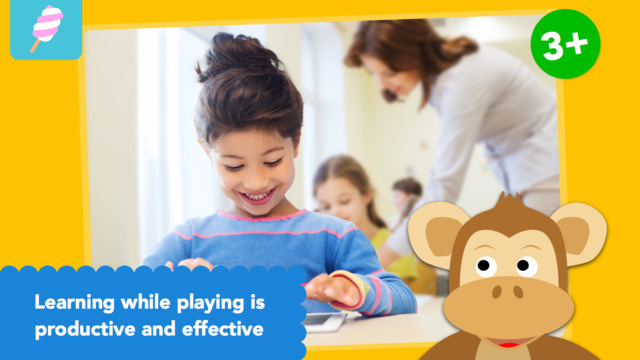 There are a total of 27 games, which also change each time that your child uses the app. Math Tales – The Jungle even has a dedicated Parents’ Area (unlocked by completing a multiplication sum) which shows you your child’s progress in the app. It highlights which areas of the app have been completed and which ones are yet to be done, as well as providing links to the other apps within the Math Tales range. The illustrations in Math Tales – The Jungle are simple, colorful and engaging. The narrative is well paced and well-voiced, creating an experience of an interactive storybook rather than just an educational title. The music is melodic and upbeat, and sound effects add to the fun. 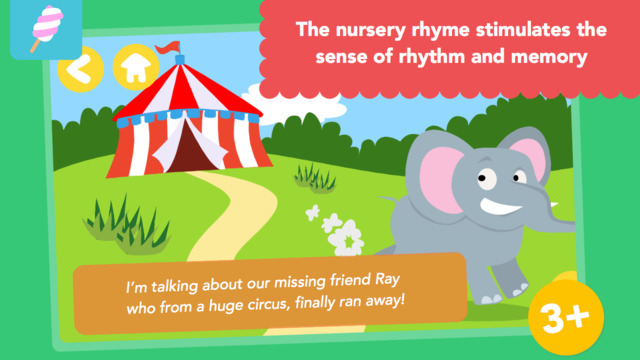 Whether your child is in pre-school, early learning or has just started school,Math Tales – The Jungleis a great app for young kids which is both educational and fun to play. Priced at just $2.99, Math Tales comes highly recommended. Math Tales requires iOS 8.0 or later. Compatible with iPhone, iPad, and iPod touch.